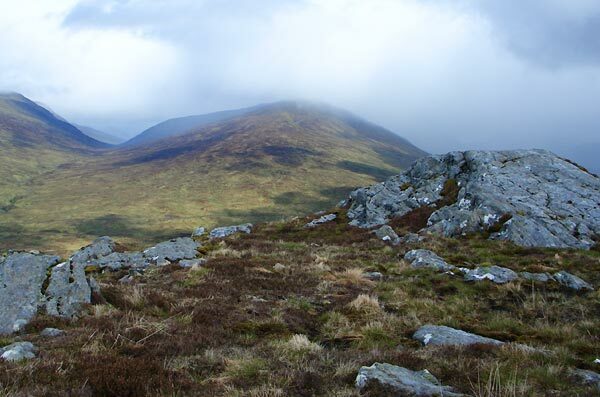 Beinn na Lap is an elongated mountain with easy slopes but with some crags on its E slopes. The summit is located at the convergence of three ridges. The SW ridge is symmetrical with easy slopes on both flanks. The long NE ridge and the short ENE ridge have steeper slopes and crags on their SE flanks. Normal access is by S flank of the the SW ridge. Beinn na Lap viewed from Tom an Eoin on Beinn a' Bhric during the ascent of the Leum Uilleim. 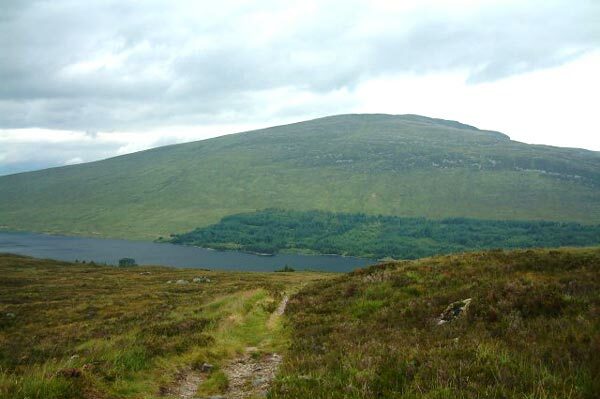 Beinn na Lap viewed from Peters Rock on the slopes of Carn Dearg across Loch Ossian. 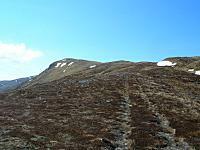 Approach to Beinn na Lap from Glen Spean Direction. View coming down from summit of Beinn na Lap. 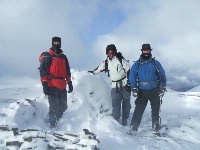 The summary information of one or more ascent routes that include Beinn na Lap. 1 560 m 10.14 km 3.5 hrs Beinn na Lap Short easy day gentle slopes. Take refreshments, there is little at Corrour Station. 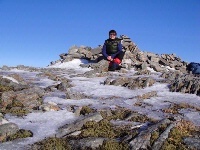 Molly at the top of Beinn na Lap. Glasgow Fair Monday, 2014. 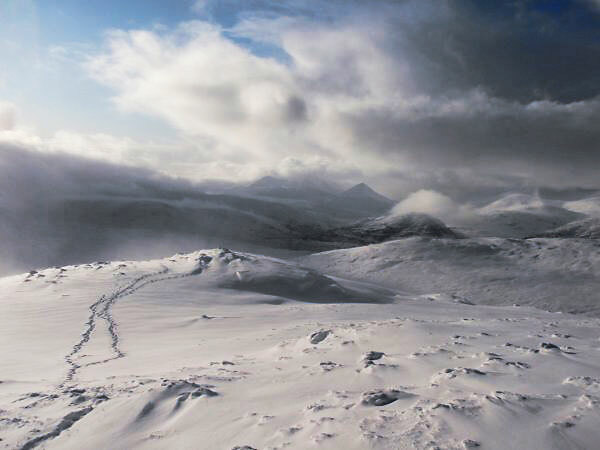 Post a few words about Beinn na Lap or read what others have had to say. Station house is open again but only as a restaurant. No cafe during the day mores the pity. We parked at Fersit and followed the path East that skirts along and through the forest. It is not a path for bikes but the most direct route to Strathossian House (2hours 20 mins). Bagged Beinn na Lap from its North East ridge - easy going and great views. Once here cycle back first North through the forest and then East at 408:807. Its mainly downhill and is an easy ride out (1hour 15 mins.). We left the path round Loch Ossian after circa 600 metres which proved unfortunate as a deer fence with no obvious stile proved troublesome. Our advice would be to leave the path at the start of the Loch. This would avoid the fence and give more gentle slopes. Sadly it was a drizzly, misty day, with no views at all from the top. The excellent Corrour Station cafe was open, and, as things stand, will be closed only in the months of November and January. The Station House has reopened with SYHA running it as a B&B serving food and drink, I think it is open from 0830 until 2200. Nice place to wait until the train arrives. Check the SYHA website. We were up and down this hill in under 3 hours from the youth hostel. The path was very dry but it looked like it would be a bit muddy after a lot of rain. The best thing is the view from the top.